The Zylight Barndoors for Z90 LED light helps flag-off, direct and control the beam of light. They are fabricated from durable metal and painted matte black. Mounting the barndoors requires use of the (ZYAZ90) accessory adapter (sold separately). Barndoors for Z90 is rated 5.0 out of 5 by 2. Rated 5 out of 5 by Christopher S. from Quality Build The barndoors are stiff to move and that's a good thing because you don't want the doors accidentally closing on you during a shoot. 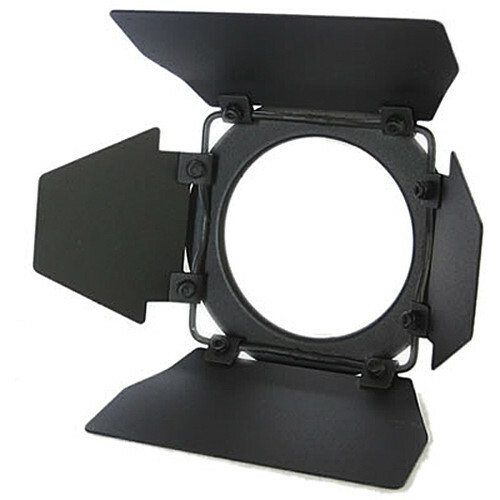 Will only work with the Z50 and Z90 when used in conjunction with the Zylight Accessory Adapter. Rated 5 out of 5 by Shotmonster from You must have these I love my little Zylight, but when extra softness or maybe a little 1/8 plusgreen is required for an exact color match, these doors do the trick. They are solid and well designed.